336 pages | 91 B/W Illus. 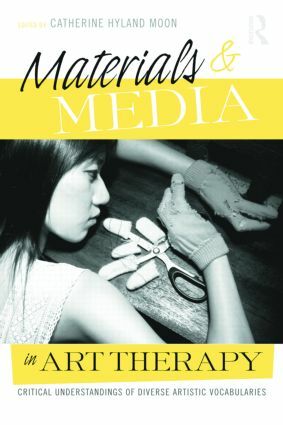 Section I: Art Therapy Materials and Media: History and Theory. Moon, A History of Materials and Media in Art Therapy. Moon, Theorizing Materiality in Art Therapy: Negotiated Meanings. Orr, Social Remixing: Art Therapy Media in the Digital Age. Section II: From Artist to Art Therapist: How Art Therapists' Use of Materials, Media, and Practices Informs the Work as Therapists. Yi, From Imperfect to I Am Perfect: Reclaiming the Disabled Body Through Making Body Adornments in Art Therapy. Whitaker, Groundswell: The Nature and Landscape of Art Therapy. Newman, Creating a Safe Place for Lesbian, Gay, Bisexual, and Transgender Youth: Exhibiting Installation Art for Social Change. Gerity, Fourteen Secrets for a Happy Artist's Life: Using Art and the Internet to Encourage Resilience, Joy, and a Sense of Community. Colletti, Inspired by a Stranger: Exploring Mail Art. Section III: Materials and Media Applications in Art Therapy. Austin, Technology, Art Therapy, and Psychodynamic Theory: Computer Animation With an Adolescent in Foster Care. Huss, Bedouin Women's Embroidery as Female Empowerment: Crafts as Culturally Embedded Expression Within Art Therapy. Lukas-Falk, Comic Books, Connection, and the Artist Identity. Mosinski, Video Art and Activism: Applications in Art Therapy. Hawley, Beatmaking: Reaching Beyond Art Therapy to Follow the Creative Path of Music. Catherine Hyland Moon, MA, ATR-BC, is associate professor and chair of the Graduate Art Therapy program at the School of the Art Institute of Chicago. A painter and mixed media artist, writer, and curator, her professional publications and presentations in art therapy have focused on the unique contributions of an artistic perspective in therapeutic practice.